expensive china plates or silverware adorning it. for all the beauty you have created. and please allow me to not take it for granted. 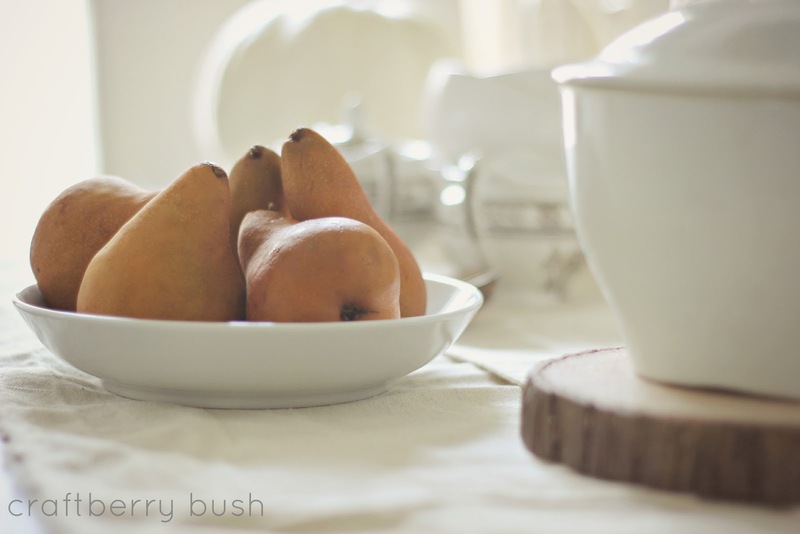 As I set out to simply describe my humble table, I was moved to speak what was in my heart. And that is, an abundance of gratefulness and love for the one who guards us and loves us, my Lord and savior Jesus. Wishing you a beautiful upcoming week. Previous Post: « Happy Hour 2 -Linky Party Features…. This is very beautiful, Lucy! Beauty is found in the simple things. 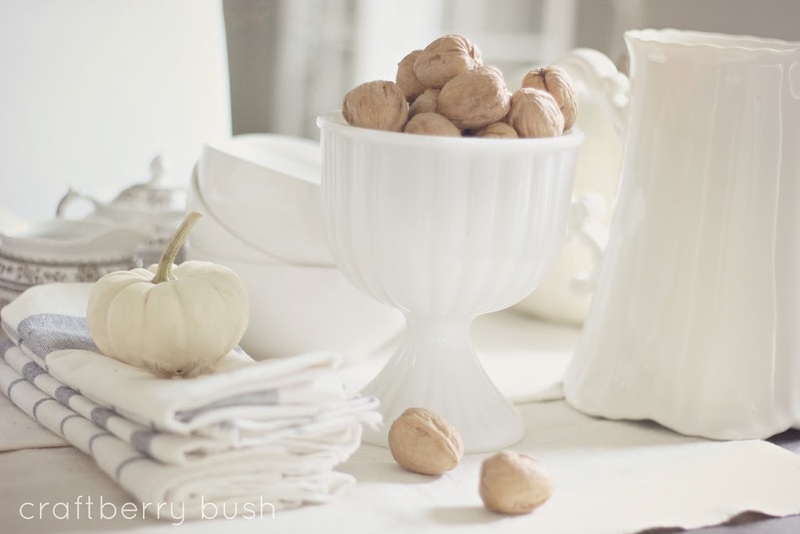 I love white, you will find color in my accents, but my favorite things are my white things. The small milk pail with fabric and bow is precious with the hint of color in the hydrangeas. Very very pretty! your post is beautiful . Amen! I love the post and I agree! He is my Lord and Savior also and HIS beauty in nature takes my breath away. Thanks for a honest and transparent post! 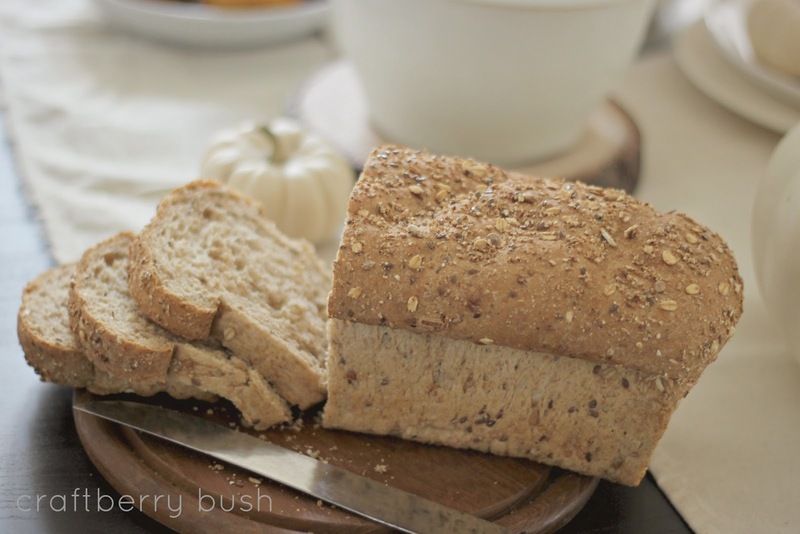 Beautiful… well in keeping with a Harvest spirit. To God be the Glory. Thank you for saying this.. we get so caught up. What a beautiful post! I love to see bloggers acknowledge the Lord and His goodness. So many want to take credit for things, but we know He is the giver of life and the source of ALL good things! Beautiful. He is the best artist in the world;). Just so sweet….God is so amazing every day if we just let Him be…thank you for the beautiful message and the gorgeous simple table. God is so very good….all of the time! 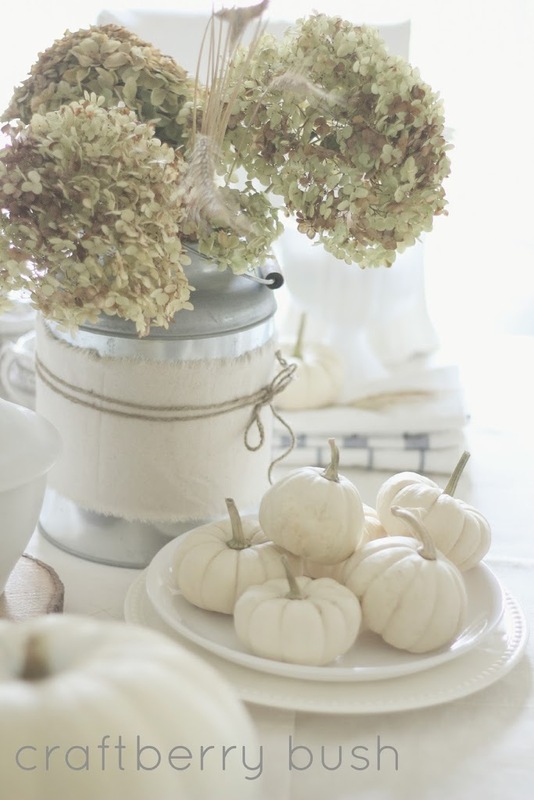 Pretty, pretty, pretty , have a ques why are white pumpkins the latest trend? 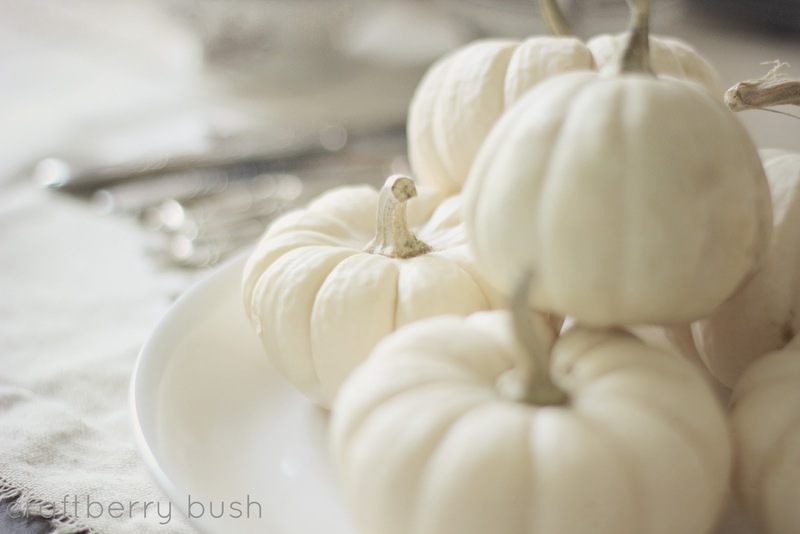 Seems all craft and decor blogs are featuring white pumpkins, pretty but…..
Love your fall table. I’m so bad at decorating for seasons…I hope to get better. Where do you begin when deciding to create a work of art like that? 🙂 I love how you gave credit back to God. It’s so true…everything we love about the seasons comes from Him! A lovely post, Lucy. Blessings on your day. A beautiful tribute to the goodness and provisions of our Lord. And, God has blessed you abundantly with talent! Hi – so lovely yet so simple. Love it. Found you on The Lettered Cottage. 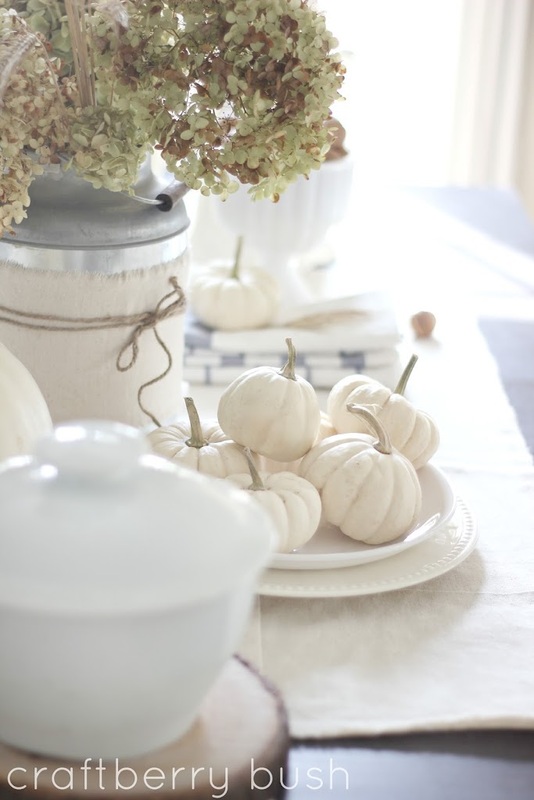 I have been think of doing a fireplace mantle design using whites and off whites, using white pumpkins, burlap, wheat etc. So thanks for giving me a few other ideas! What a breathtakingly beautiful table! Fabulous, thoughtful post. So elegant,so white, love it! Your beautiful words reminded me of how I should become more thankful at all times. I would like to share one of my favorite sayings with you- “The hardest arithmetic to master is that which enables us to count our blessings”. Thank you for always sharing with us how your heart truly feels. Sheila S.
This post touched my heart today. You stated facts about God in such a beautiful way. Your blog continues to bless and inspire me in so many ways. Thank you! You are a gifted lady! 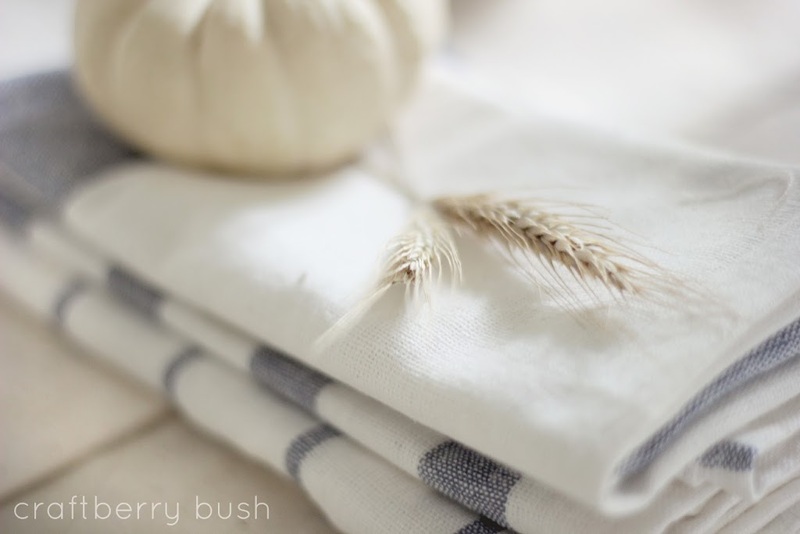 So I am totally stalking your blog tonight, but I just have to say how beautiful this post is, not just the table but the words that accompany it. You are truly talented Lucy! 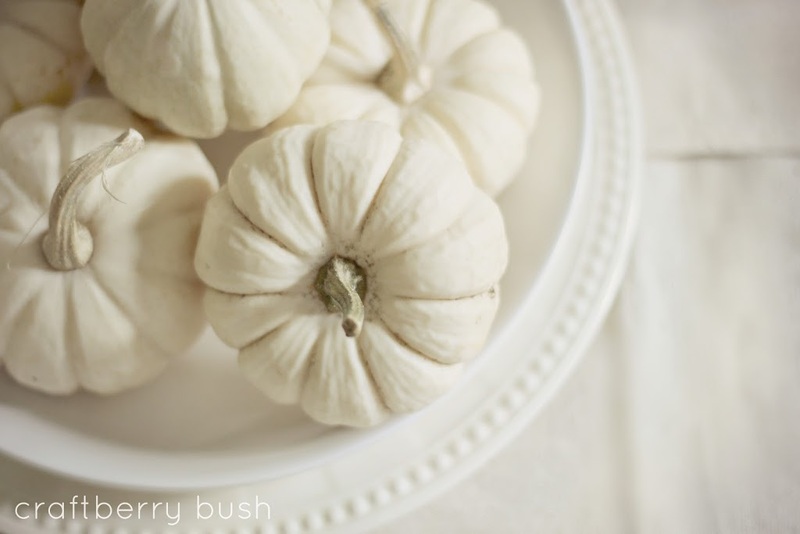 This is one of my absolute faves of the season … all of that monochromatic white on white. Peaceful and humble. Love it!! Thank you so much for the party today. Oh my goodness, that was written as beautifuly as the pictures themselves. I agree with the blogger a short way up that it is so nice to see a blogger aknowledge God and give Him credit for all we have after all He is our provider. Thank you for saying it so well:) May He continue to bless you and your family. 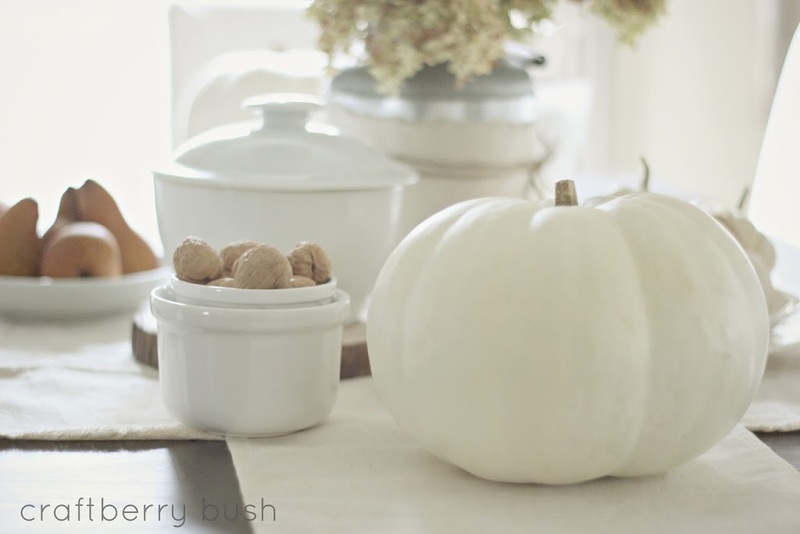 Beautiful post, beautiful tablescape. Thank you for sharing. Gorgeous!!! 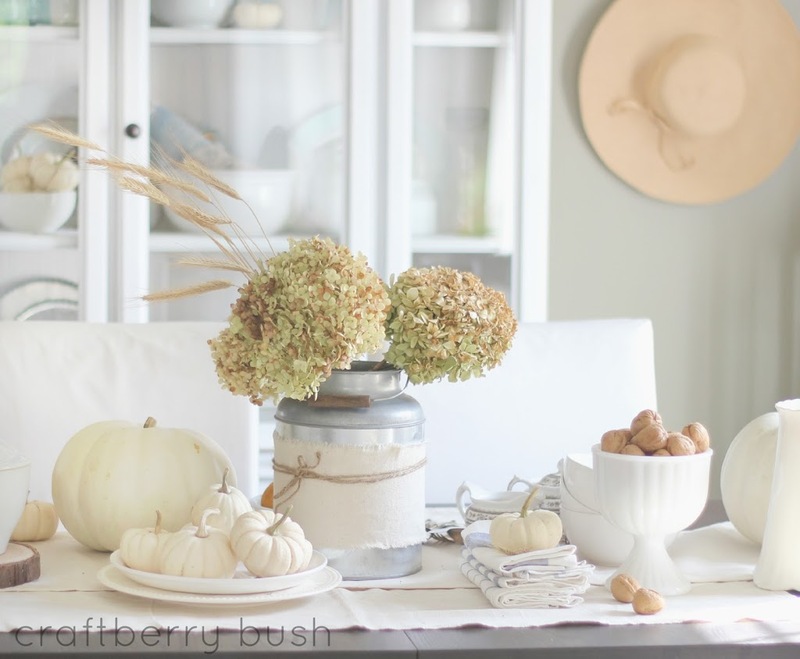 I think this is my favourite fall table I’ve seen this year. Simple, understated, white. Lovely. Just beautiful! Your words…and table! Gorgeously simple! Come link up to Centerpiece Wednesday and share this with us! You said it! Every time I see a pumpkin I can’t help but marvel at the work of art it is. What a beautifully serene table you crafted from what He created!